Vivo has introduced the new Vivo Y71i smartphone in India featuring a 5.99-inch HD+ IPS LCD display, with a 1440 x 720 pixels resolution. The mid-range device, is an affordable version of the Vivo Y71 designed to meet the need of the people. The smartphone comes in Black, Gold, Black, Rose-Gold colours, with a body dimension of 75.73 x 155.87 x 7.8 mm and a weight of 150 grams. This Vivo Y71i is powered by a Quad-core Qualcomm Snapdragon 425 Processor clocked at 1.4GHz. It runs on Android 8.1 (Oreo) operating system with an Adreno 308 graphic processing unit. The smartphone features an 8 mega-pixels rear camera with LEd flash, and a front camera of 5 mega-pixels also with LEd flash. It comes with a 3,360mAh battery capacity with fast charging, and support Bluetooth 4.2, 3.5mm jack, USB port, Wi-Fi, Wi-Fi Hotspot and A-GPS, GLONASS. 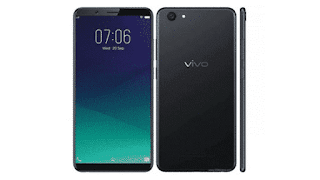 The Vivo Y71i smartphone is available starting at N35,000 – N50,000 here in Nigeria. All comments are moderated. Read Commenting Terms And Conditions.